Are you looking for a way to make a difference in the world? Consider going on one of our ServingHIM mission trips to Romania, Moldova, or Guatemala. You do not have to be a dental or medical professional to go on our trips. Every trip has some dental and medical professionals, but we need lay people as well to help check in patients, take blood pressure, share the Gospel and pray with people in the waiting room, etc. We also have teams that work with our local church partners and do a variety of community outreaches in including: Home-to-Home ministry, Vacation Bible School, Healthcare presentations to Children in Public Schools, Animal distribution (Goats, Pigs, Chickens), Community Health Fair, Orphan Ministry, Women's Ministry, Widow's Ministry, Pastor's Conferences, Youth Concerts, or a variety of other types of ministry. Each trip is a unique ministry experience depending on the needs of the local churches. Are you a dental or medical professional? Have you ever wondered how you could make a difference in the world? 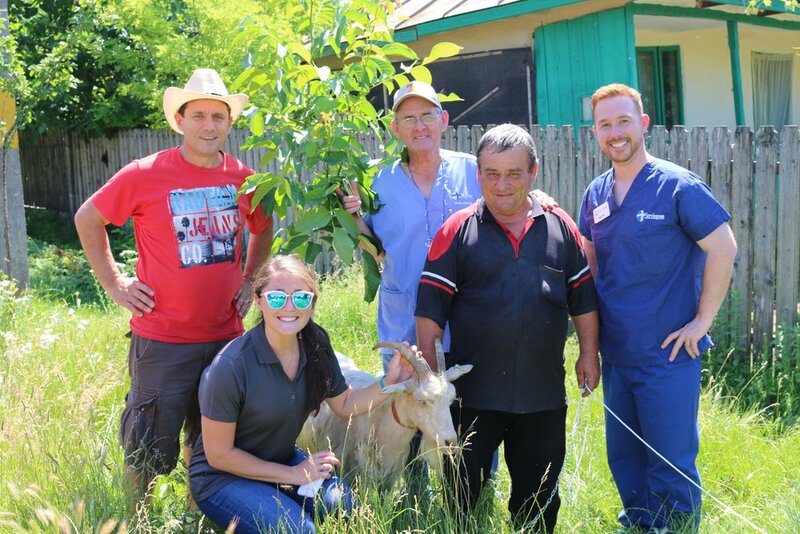 Well you can volunteer your time and use your skills and training to bring hope and healing to the people of Romania, Moldova, and Guatemala. We host a community health fair during each mission trip as well as work in our permanent clinics in each location. These clinics operate year-round and act as a training ground for our local dentists, hygienists, doctors, and nurses who have the opportunity to learn from our American dental and medical professionals. 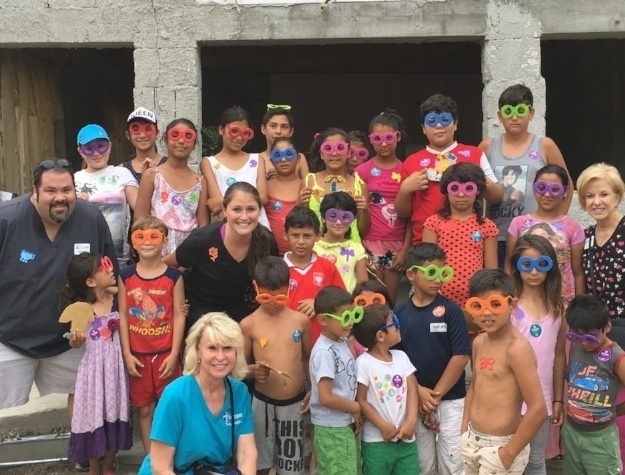 Sharing the Gospel message of Jesus Christ is a key pillar to ServingHIM mission trips. We have small teams of people that minister to the patients in the waiting area of our clinics, at the health fair, and in the villages. They spend time learning about the person, praying for them, and sharing the Gospel as the Lord leads. Our dental and medical teams continue sharing Christ with the patients during their time together. Throughout the week, our teams invite each person to our Celebration Dinner at the end of the week which is held at our partner church. We share a time of celebrating all that God has done and worshiping Him together. Lorne Book and Pastor Ioshua sharing the Gospel with Romanian patient in the Diaconia Medical Center waiting area. A key ministry for ServingHIM is our animal and food basket ministry. We work with our local village church partners to determine families in their communities that have a desperate need for a goat, pig, or chicken and a food basket. We include a Bible in the native language in each food basket. Our teams have the amazing opportunity to take an animal and food basket to these families homes, knowing that this is a tangible way to help them on a long-term basis. We also have small teams of people to along with the village Pastor, go to village homes to share the Gospel with and pray for the people. It is an incredible way to gain an understanding of how the people live and help you better relate to them as you share the Gospel and pray for them. Children's Ministry is a main part of our community outreach programs. We have teams that do Vacation Bible School in the village churches. We also send small teams to teach about proper health practices to children in public schools. They teach about the importance of hand-washing, eating right, exercising, not smoking, and brushing their teeth. In Guatemala, families cook over open flames on the dirt floor of their houses. children often get burned or suffer smoke inhalation. We build wood-burning stoves with chimneys in their homes, which eliminates smoke, takes 70% less wood, and provides a cooking surface to prepare meals.